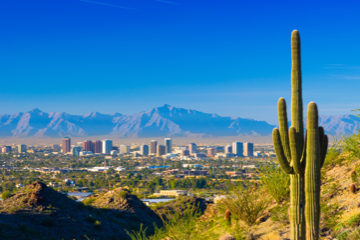 Arizona’s Sonoran Desert—a landscape rendered in shades of tan and red that pop against a bright-blue sky—is a sight for sore eyes. Spring and fall are a pleasure, as the temperatures hover around a dry 75 degrees Fahrenheit, providing golf lovers the opportunity for play year-round. Hundreds of golf courses, spas, restaurants, and museums appeal in every season, tempting vacationers to visit the Sonoran Desert even when the heat rises. 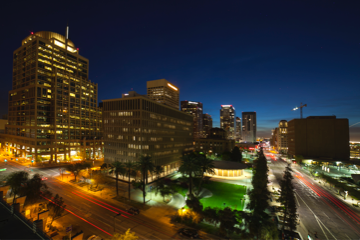 Phoenix is the area’s biggest hub. Within the city lies Camelback Mountain, which dazzles from afar and atop its summit. You can get a glimpse of life in the Wild West at Goldfield Ghost Town and Cave Creek, both just outside of Phoenix. The Desert Botanical Garden is another can’t-miss, with more than 50,000 flora that thrive in the dry heat, such as the jojoba plant, which has moisturizing and medicinal properties. 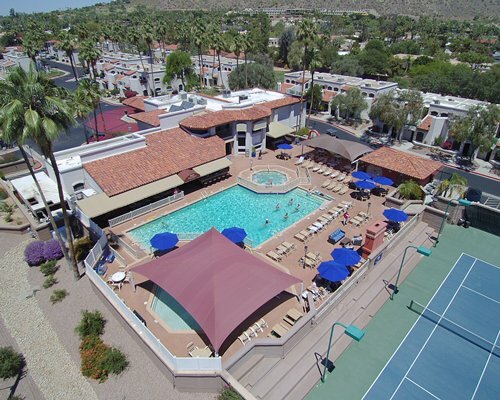 Nearby Scottsdale has more spas per capita than any city in the country, making it the place to recharge once you’ve tested your skills on Phoenix’s golf courses or hiked along one of the area’s many trails. After getting your muscles rolled, you can enjoy a bite of authentic Mexican fare at the Scottsdale Waterfront, a shopping center along the Arizona Canal. Or visit Old Town, where you can pretend to be a cowboy at saloons that have served the likes of John Wayne and Clint Eastwood. 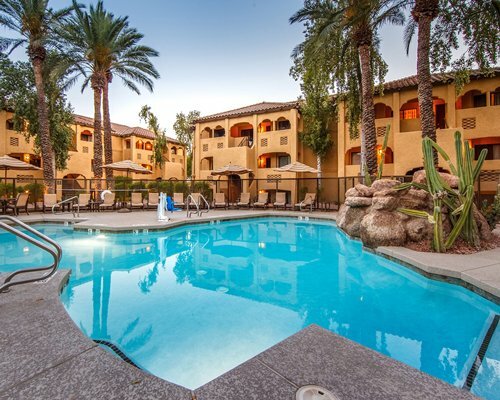 With dozens of golf courses and spas, along with a thriving culinary and arts scene, the greater Phoenix area has something for everyone. 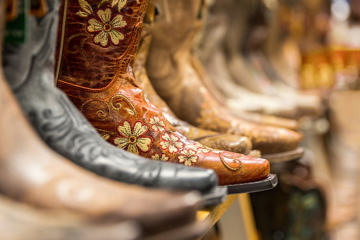 In the shopping capital of the Southwest, modern luxury goods share the retail-space with Wild West artifacts of the past. A glittery and revitalized downtown rises up in stark contrast to this largest Southwestern city's historic landmarks, old dives and desert backdrop. Playtime and downtime in the desert. On the edges of Scottsdale, signs read “Welcome to Scottsdale: Most Livable City.” At first pass, that may seem like an underwhelming title to claim, but many of the reasons that motivate people to live here are equally compelling if you’re planning a vacation: the pleasing dry heat (there are, on average, 299 days of sun a year); shades of red, brown and orange that pop against a bright blue sky; and the town’s well-rounded offerings—spas, shopping, art—which are unpretentious and mostly affordable. Follow this guide to make the most of this Sonoran Desert town at a reasonable pace. "Great for children, We enjoyed our stay very much." "We did not want to leave!" "The staff could not be more helpful or friendlier."